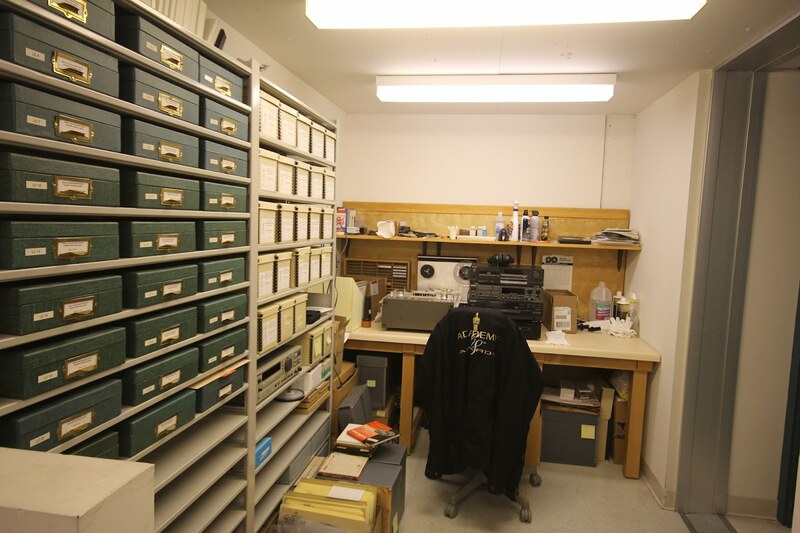 Music, soundtracks, and oral histories are stored here. 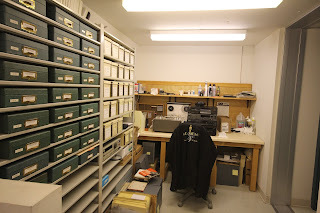 A work station is fully loaded with equipment to copy and format shift : reel to reel, cassettes of various colours and kinds, digital discs large and small. The on staff sound archivist is an expert and a composer who is nifty with a database. He has been tasked with archiving older formats and digitising their content. They are not currently building a freestanding/digital/dedicated collection, the works are stored on discs that can be requested for listening and research. It is a great looking workstation, built for the facility by Linda's husband. I approve.